In OSGi environment, every service we use supposed to be an OSGi bundle. In this blog I will show you how you can use an external service which is non-osgi. Note: This is a common problem in OSGi to refer to non-osgi jars. You can also refer external documents if needed. You need to be aware of OSGi and OSGi subsystem specification. The adapter you develop is an OSGi esa file with type as Composite. This means it has be self-contained. 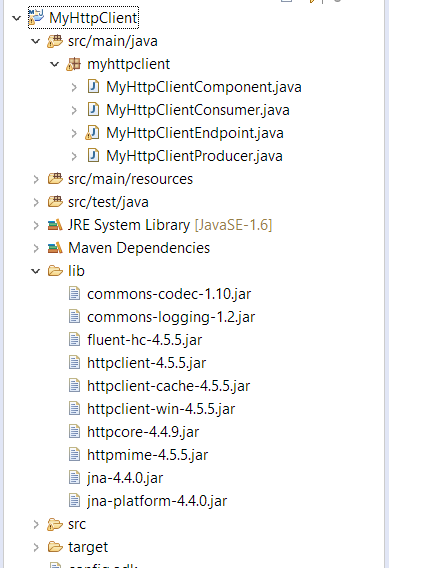 If you use any dependencies, they must be bundled within this ESA. Let’s begin by creating a simple adapter as described here. Step 1 – Identify your dependent service (in this case HTTPClient). First step is to understand your service. If you want to use an apache HTTP Client, it is very important to know all its dependent service tree. A service may have more than one dependent services. You need to bring all of them to your project with appropriate versions. 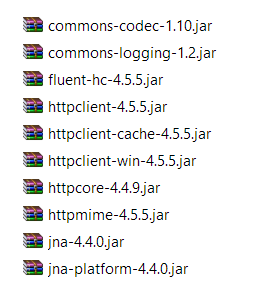 My HTTP client has a set of total 10 jars (dependencies). Following is the list of downloaded jars. 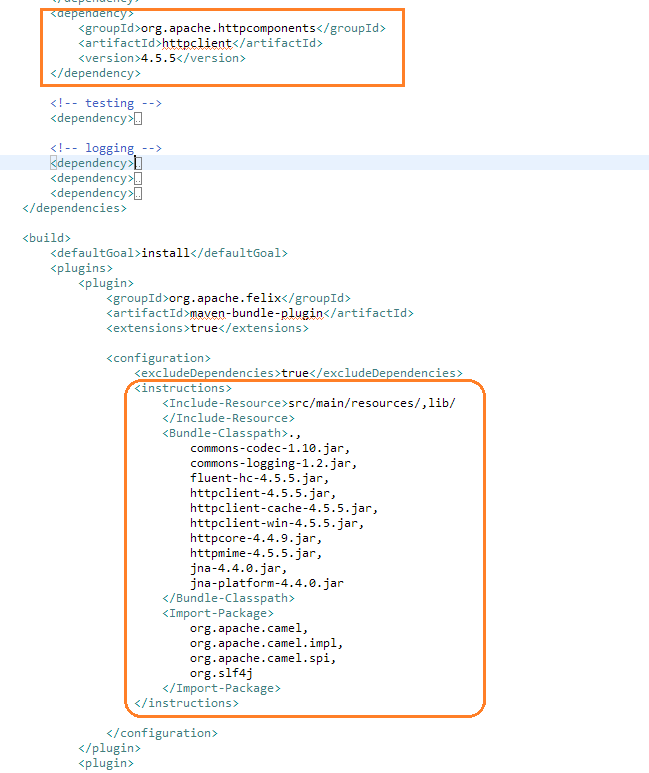 We have two OSGi artifacts in an ADK project; 1) Camel Component and 2) The final ESA (target after build) Since we are using the dependencies from the lib, we need to give this information to the OSGi class path loader. We use Bundle Classpath concept. For details refer OSGi specification. We are not adding any business logic here. We are simply making a call to google.com. Add your new receiver. We are simply not using any adapter properties and hence no need to add any. This should simply open the google.com page.